ALI BABA AND THE FORTY THIEVES: Plumpton Pantomime Society’s production this year had children, at the matinee last Sunday, enthralled and their responses and interaction were truly delightful. This production of Ali Baba and the Forty Thieves is vibrant, has an excellent set and wonderful costumes. It is just as a pantomime should be and a huge ‘thank you’ goes to all involved for making the pantomime as entertaining as ever. The list of those involved as principal players, chorus, junior dancers, musicians and the production team is extensive, with more than seventy people making the pantomime the success that it is. I know the success derives from everyone involved but I would like to mention Charlie Wycherley as Fatima Fandango and Paul Kluge as Mustapha Screwlose whose performances were particularly exciting and their hilarity truly memorable. To find out if there are tickets available for the performances this evening, tomorrow and Saturday at 7.30pm or the Saturday matinee call Jo Taylor on 01273 890450. 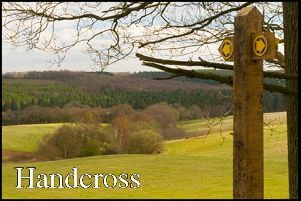 HAMSEY WALK: with the Footpath Society (five to six miles) takes place this Sunday (January 27) and starts at 1.30pm at Phoenix Car Park, Lewes (Map Ref: 420 103). For more details call Sandy Washer on 01273 477336. CLIMBING MOUNT VENISON: Antarctica, a talk by Cliff Dargonne is at the village hall on Wednesday January 30. All are welcome to join members of the Footpath Society for this talk, meet at the hall at 2pm and the talk will start at 2.30pm. FLOWER CLUB meet, at the village hall, on Wednesday February 20 at 7.30pm. The demonstrator will be Angela Merryfield. Visitors are most welcome at a cost of £3 at the door. There is always a raffle giving a chance to win one of the demonstrators’ arrangements. For more details call Gill Wells on 01273 890561.